Espresso Stout – Brasserie Trois Dames (Saint-Croix, Switzerland) | Justintoxicated. Visual: (cellared for 3 years). Pours ultra dark brown with a superfine micro layer of head, cascading waves of micro streams all around. 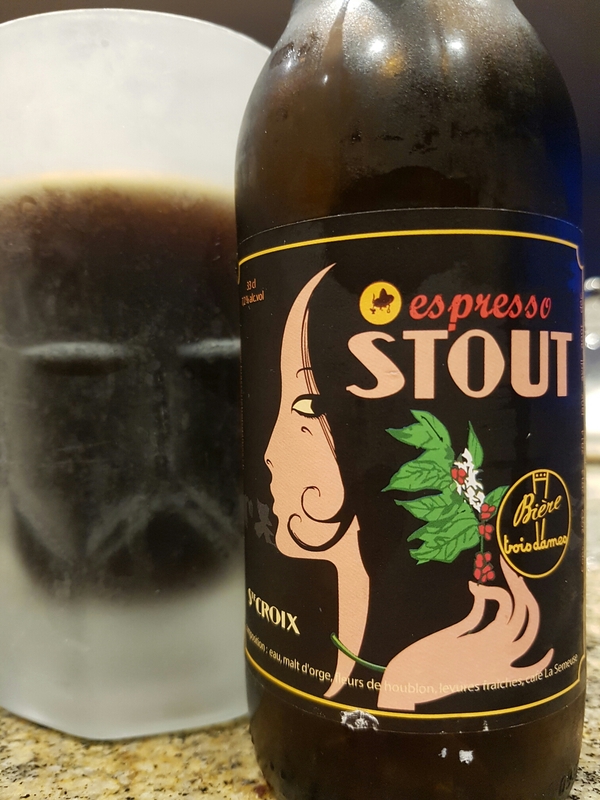 Summary: This is a cool espresso stout – not at all what you might expect. Predominately bright with fruity coffee acidity, the roasted dark notes take a back seat in this surprisingly easy 7.2%. Great stuff.